It looks like the forecast model data is not automatically updating. 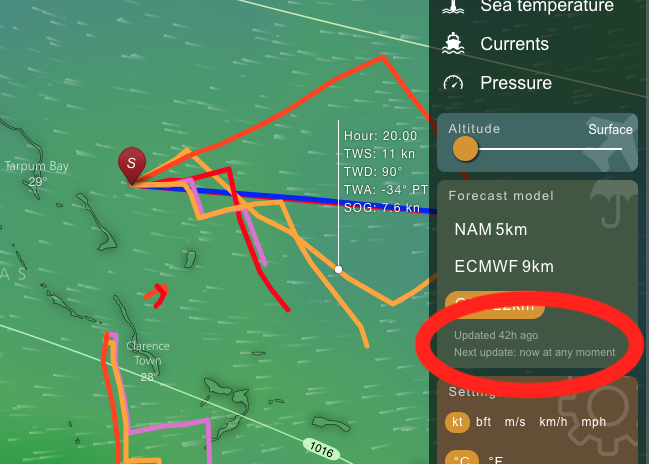 In the screenshot below you can see the forecast data was last updated 42 hours ago. Is there a way to force it to update? In the v2 API, my trick for doing this was to reload https://www.windyty.com/gfs/minifest.js. hi @ivo - any thoughts about this? forcing a refresh of the model data and the view without having to reload the whole page? this appear to be an issue in https://www.windy.com/ as well - no auto update.